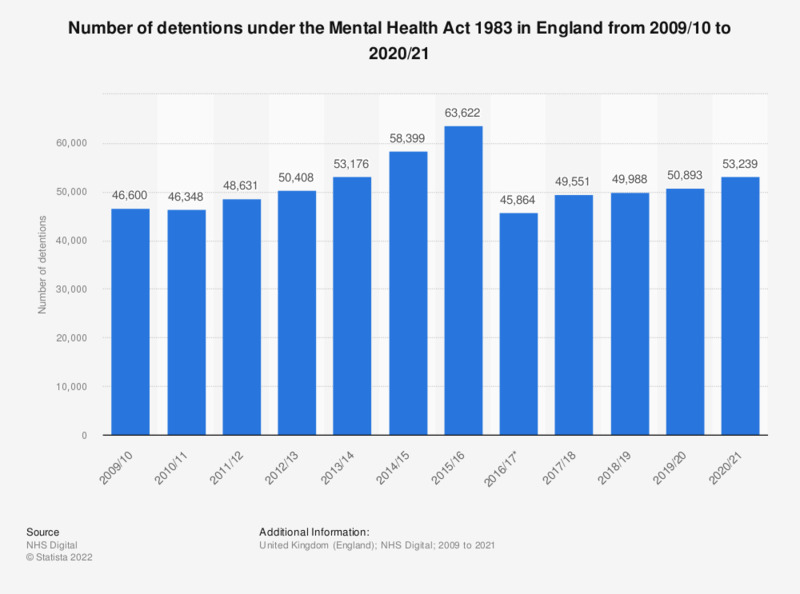 This statistic displays the number of detentions under the Mental Health Act 1983 in England from 2009/10 to 2017/18. In 2017/18 there were almost 50 thousand detentions under the Mental Health Act 1983, an increase from the previous year. * Change in how the source collated data related to detentions.